Meet Chromecast. This is Google's vision for how Chrome can help unite your experience across all of the many screens we've got. And you better believe it's all about video. Who knew a little $35 dongle could change the way you watch forever? What we've got here is a set-top-box-like product—that plugs into your TV a bit like the Roku Streaming Stick with a capability similar to AirPlay Streaming. This is the clear successor to last year's Nexus Q, and it's different in almost every way: it's unobtrusive cheap, and actually useful. Chromecast, according to Google, will have close to zero setup time. Just pop the little flash-drive shaped device into your TV's HDMI port, connect it to your home Wi-Fi, and then you're ready to wirelessly transfer what you're watching on your computer, phone, or tablet on your TV. It's not limited to Android and Chrome OS and Android devices either—The reasoning for using Chrome is that it runs on all operating systems. It's super simple, if the application you're using on your phone or other device supports Chromecast, there will be a little "Cast" button. Hit it, and just like that, it'll land on your TV. From there, you can control playback from multiple devices if you'd like. And it doesn't stop with YouTube—all supported applications will have the cast button. In the demo today, we were shown Netflix, Google Play Movies, TV, and Music. . Google says Pandora is coming soon. 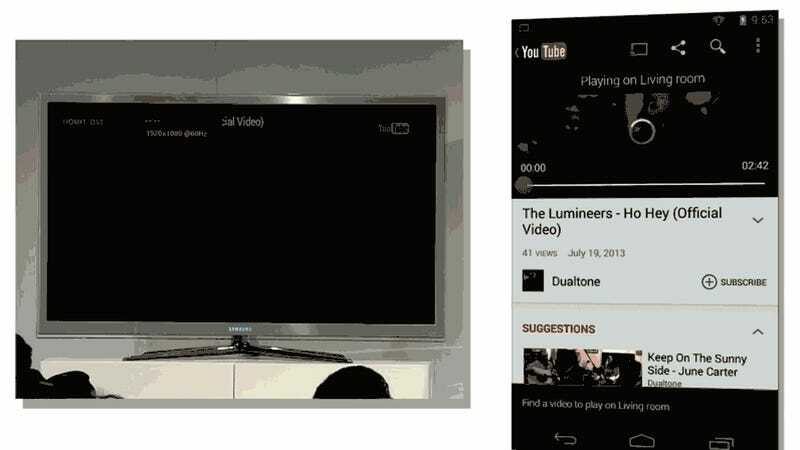 What's more there will be a Google Cast SDK so that basically any app can eventually use it. It also opens the door for the development of additional devices so that other set-top-boxes with Chromecast built-in. But even better, this isn't limited to specific service-based applications like Netflix. The desktop version of Chrome is getting a cast button so that you can beam your Chrome tab to your TV with a click. So in the case of something like HBO Go, which doesn't yet support Chromecast—and who know, maybe it never will—you can simply beam the browser-player to your TV and be done. The one caveat, of course, is that we're almost certain that the media has to be in the cloud. From the looks of it, Chromecast is what we've been waiting for from a set-top-box for a long time. Rather than a platform-siloed experience like the one you get from Apple TV— Chromecast leaves the options wide open. We can't wait to get our hands on one. 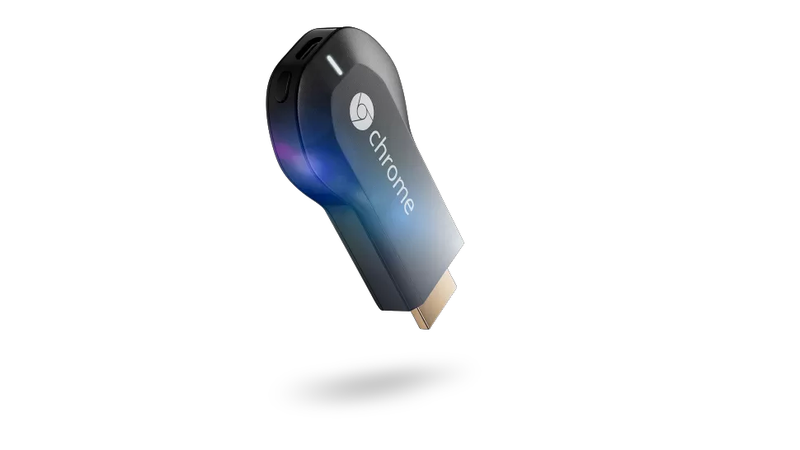 Chromecast is available today through Google Play for $35, and it will ship from Google by August 2nd. Google says Best Buy could have Chromecast as early as July 27th.